Good gaming headsets don’t need to be expensive, and GAMDIAS proves that a few times over with its hard-to-pronounce Hephaestus V2. This $60 headset isn’t just well-built for its price, it sports features more commonly seen on higher-end models, such as surround sound, vibration, and even a fold-flat design. Does its sound quality match up? Let’s take a listen. It used to be that a good gaming headset would cost at least $100, but today? That’s not the case. Not even close. 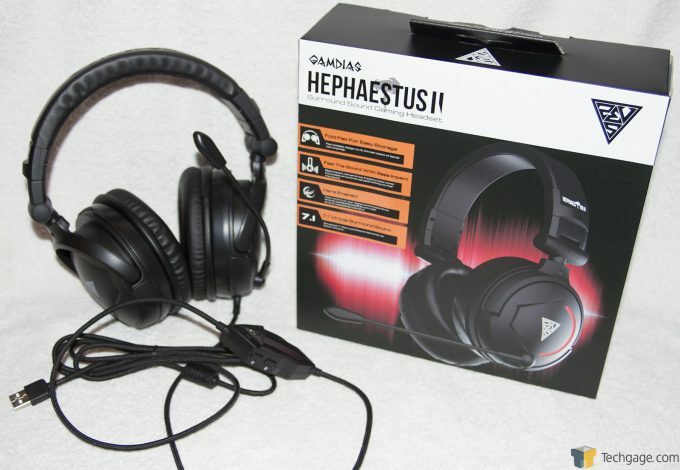 GAMDIAS helps prove that with its Hephaestus V2, a $60 headset that supports not just surround sound, but vibration, as well. The name of this headset might seem a bit complicated for a product so simple, but if we read into it, we can begin to understand where GAMDIAS is going with this. Hephaestus is a Greek god of blacksmiths and craftsman, so that should tell us one thing: GAMDIAS is proud of this headset, and its craftsmanship. But herein lies the big question: are we impressed? Let’s find out! 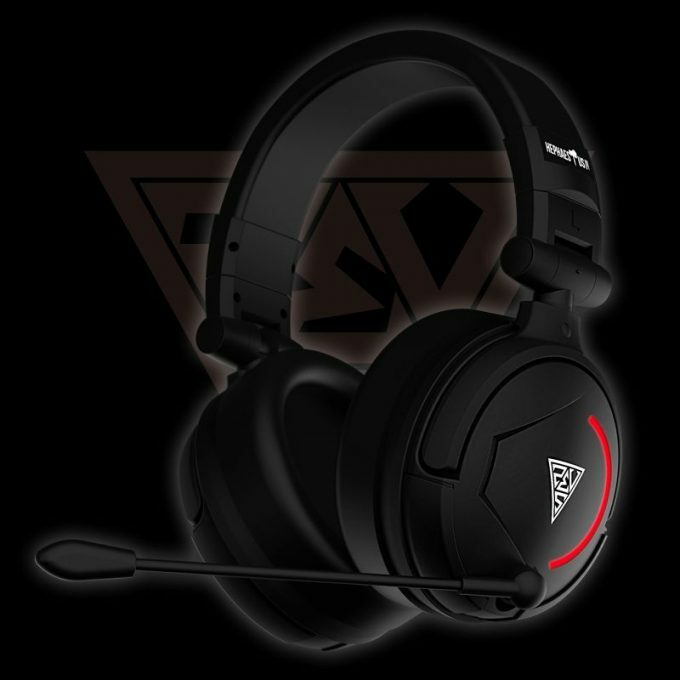 The Hephaestus V2 is a plastic headset, with leather padding on the headband and ear cups. It utilizes 50mm audio drivers inside of the spacious ear cups, and comes with a built-in inline remote for controlling volume, mute, and deafening functions. The headset also features a button on the remote to toggle the “vibration” feature on and off. This is a USB powered headset, and utilizes a braided cord, which is much more durable than a standard plastic covered cord. Thanks to the fact that this is a USB headset, it can provide a bit of power for a little bling, which on the Hephaestus V2 comes in the form of red LEDs on the outside of the earcups. Unfortunately, red is the only color that you can program (but we wouldn’t expect RGB on such an affordable option). Retailing at $59.99, one would assume that this would just be a solid headset, but they would be wrong. I was pleasantly surprised to find out that the headset has a stellar feel! I have a large head (size 8 fitted hat), and this headset fits me with plenty of room to spare. 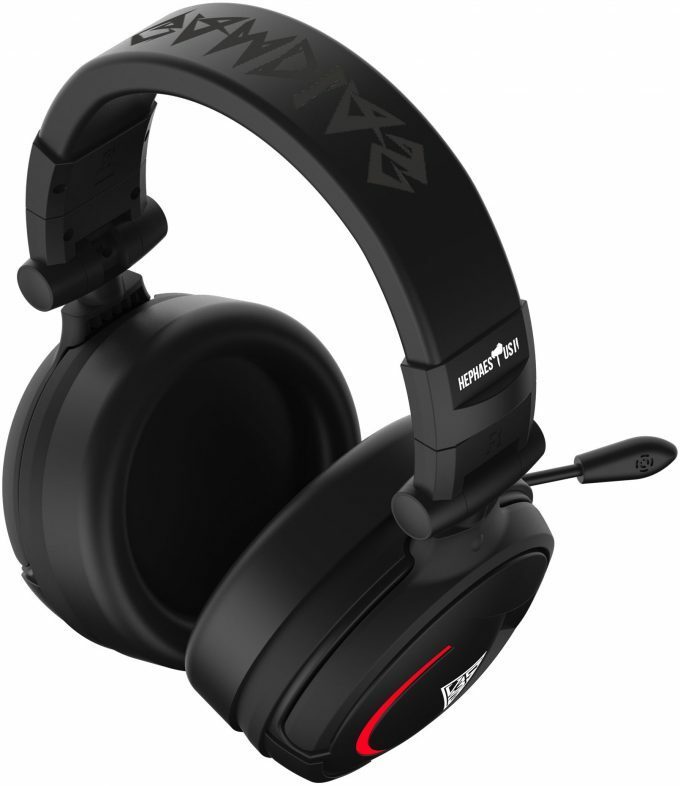 The headset’s 50mm drivers fit in the roomy ear cups that have faux leather. Now, I know what you are thinking: “leather ear cups mean hot ears”. However, I can tell you that my ears never once got sweaty while using this headset. During my time with the Hephaestus V2, I had multiple gaming sessions over 4 hours and not once did I feel the need to take them off due to heat or comfort. So what about the sound quality? Again, it’s surprisingly great, but there are some caveats. This headset, out of the box, is very bass heavy, which doesn’t bother me at all, but might bother some. 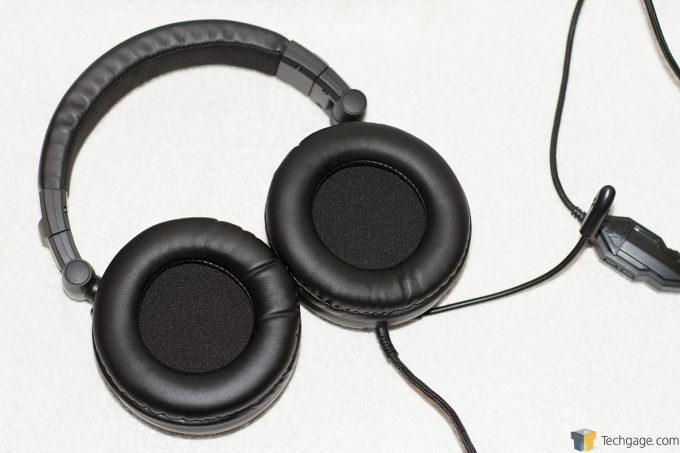 The low end bass is actually supposed to be turned into vibration that you can feel in the headset, so that should give you some idea of how heavy it can be. 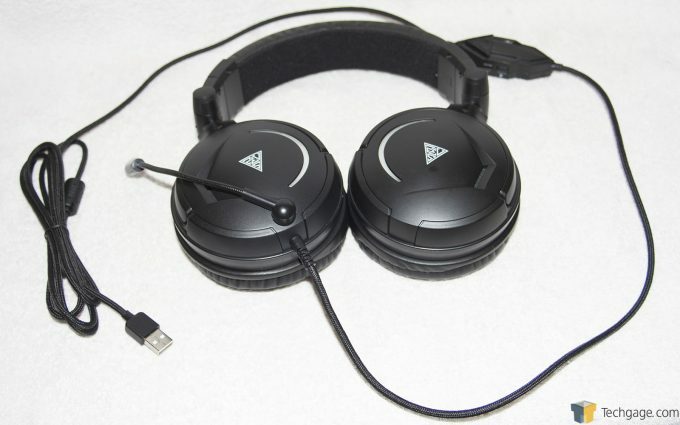 The headset’s volume controls and microphone are easily controlled through the inline controller. There is a button on the controller to toggle on/off the vibration, as well. I do a fair amount of gaming with friends, and they told me that the audio on their end was crystal clear from my microphone. One of the simplest things gaming peripheral companies seem to have difficulty with is producing gaming software that’s not an absolute chore to use. So where does GAMDIAS’ software for the Hephaestus V2 stand? Not on a pedestal, that’s for sure. The software included looks very dated, and worse, performs sluggishly. When I finally got it up and running, I had intense echoing coming from the headset. I tried to remedy this by closing the software, but that didn’t fix it. Even after uninstalling the software and reinstalling it, the issue remained. Ultimately, my solution was to uninstall the software and keep it uninstalled, and then use Windows’ built-in features to manage the audio. As mentioned above, the software for the Hephaestus V2 leaves a lot to be desired – considering the fact that I uninstalled it before I could even use it due to the echo effect. You might not experience that issue, but it proved to be a game-breaker for me. Despite the shoddy software, the Hephaestus V2 is truly a steal of a deal at its MSRP of $59.99, and I feel comfortable in recommending it to any of my fellow gamers out there. For the cost-of-entry, GAMDIAS provides a headset that’s comfortable to wear (even for big-headed folks), has inline volume control, surround sound capabilities (should you like that sort of thing), vibration (ditto), and an omnidirectional mic built-in that happens to work quite well. Oh – and the headset can even be folded flat for travel (a great thing since it won’t create a huge bulge in your bag). Overall, I am very pleased with the Hephaestus V2 despite its software offering. I hope to see the company continue to make high-quality gear at reasonable prices – if it does, I think it stands to do very well in the jam-packed peripheral market. Surround sound and vibration capabilities. For its price, the headset is very well-built. The software created an echo for us that prevented its use. We suspect that this isn’t going to be common; or, it can at least be fixed.